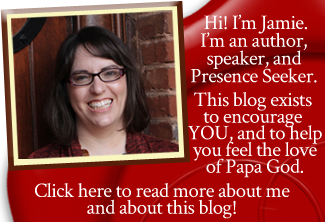 Earlier this week, I wrote the first part of my blog series about how to find a spiritual father. You’ll definitely want to read parts one and two before reading this post, if you have not already done so. Those posts contain steps 1-4 of the process for finding the spiritual parent(s)–mother or father–of which you’ve always dreamed. And by the way: I use the term “father” as a gender-neutral term which simply refers to someone who will mentor you with the heart of Father God. 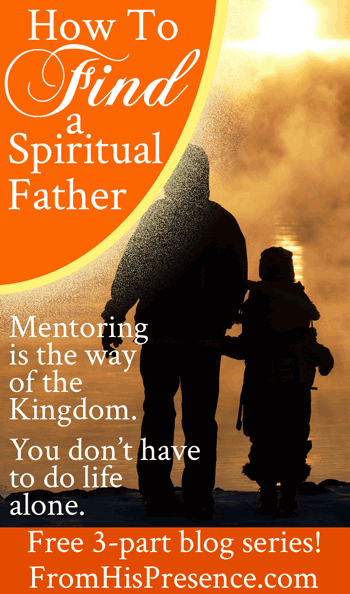 Your mentor could be a woman or a man; a “mother” or a “father” or even someone who refers to all mentoring collectively as “spiritual fathering.” Both men and women can carry the heart of Father God equally. Your mentor simply needs to be someone who will disciple you and raise you up like God does. Become a faithful, covenant member of a local church. Determine what your spiritual callings and giftings are (even if only for your current season). Ask the Lord to show you some skill sets and areas of knowledge you need to develop. Ask God to show you some people to whom you can listen and from whom you can learn. 5. Begin to sit at the feet of the prophets. In Bible times, Jewish young men who desired to know God would sit at the feet of the rabbis and prophets and listen to their teaching. They learned to emulate their teachers in every way. They walked, talked, prayed, ate, and studied with their teachers. We seem to have lost that art in modern Christianity, but we have to get it back if we’re to experience the power of true fatherhood and sonship. So if you want a spiritual father or mother, sit at the feet of the prophet. What does this look like in practicality? Find the person to whom you’re most drawn–who already operates in the ministry to which you feel called–from your list of people from whom you could learn. If they’re heading up a mentoring program, apply for their program. If they’re preaching, be sure you’re there to hear it. If they lead a prayer meeting, go to the prayer meeting. Faithfully. Don’t be a stalker. However, if you feel a strong desire, birthed in prayer, to be fathered by a specific individual or couple, then you need to sit at their feet. As you sit at the feet of your potential spiritual father, continue praying for open doors of relationship according to the Father’s will. 6. Ask the prophet you love the most to mentor you. Someone can be your spiritual father even if they don’t realize that’s how you see them. However, it’s a lot more productive if they do! Explain how much you appreciate their ministry and teaching, and how much you’ve learned. … and that you really feel drawn to this person and look up to them. Then ask them if they would be willing to mentor you! Feel free to share what you would like that to look like. For example, you could specifically ask if maybe you could take them to lunch once a month, or meet in their office every other week. Another idea: ask them to give you reading/study assignments based on where you are in life right now, and meet with them to discuss what you’re learning as you work through the assignments. You don’t have to do this. My first spiritual parents became my spiritual parents because I sat at their feet, served them, and learned from them every moment that I could. However, that relationship took ten years to develop. So, if you need a spiritual father faster than in ten years’ time, don’t be afraid to find someone and ask. You have nothing to lose and everything to gain by asking the person you want to mentor you! Even if you do ask, however, be forewarned: this is not necessarily an overnight undertaking. You’ll want to get to know the person at least a little bit before you ask them to mentor you. You want to be careful who you allow to speak into your life and guide you. If you will persevere, however, you will find the father or mother you dream of. So pray about it now. Ask the Lord for favor, and for the father or mother He desires for you. Keep praying on an ongoing basis, but while you are praying, ACT! Sit at the feet of the prophets. Ask the one you love the most to mentor you. Finding a spiritual father (or mother) is one of the best things you will ever do for yourself. Your father will be a mentor, a teacher, a covering, and an encourager to you. So what are you waiting for? 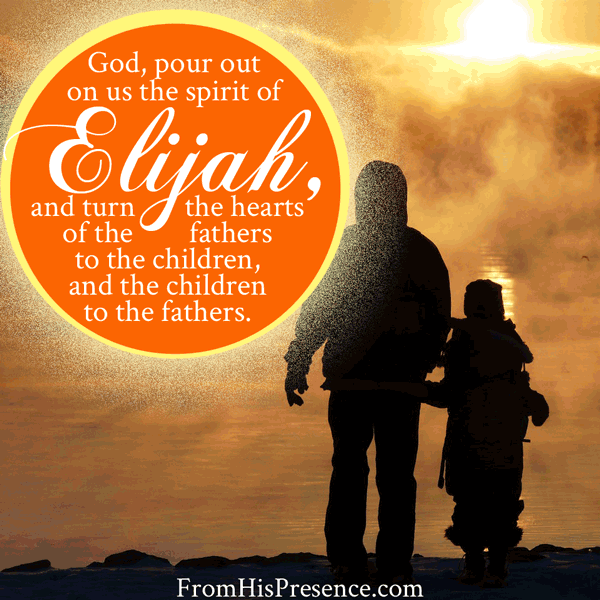 What can you do today to find a spiritual father? Want free equipping? Sign up for my free, online equipping program–Presence Seekers University–and get my FREE Supernatural Lifestyle Toolkit as my gift to you! Am grateful to for your write-up on Fatherhood. More grace to you. Thank you for reading, Olajide. I pray you’ll be blessed today. Hi,i have just been reading your write up on finding fathers.Am greatfull to GOD for the insights.This is a prayer answered because am in search of a father right now. Tanks.your topic is timely.Pls write on how to know a true Man of God. Wow, recently I just felt like a bustard with no one to talk to, to cover me up, teach me , and love me like a daughter. God richly bless u for writing and posting these wonderful teachings. Iv been so confused and didn’t know what to do. Thank you for opening my eye. Thanks so much ma for this great write up. My husband and I have been praying on this for some times and I believe God will help us and favour us to accomplish our purpose on earth in jesus name. More grace for you ma. Recently I honestly prayed for God to guide me to a spiritual parent. I was already in a church but had problems trying to associate with the spiritual parents there. I was not long in praying when I realized a certain pastor heading a fast growing church was constantly coming to mind. By myself I would never have considered him. I had known him even before he began ministry because we were neighbors then. But that was as far as it went. After God’s guidance going to him was easy with no need for introduction since it’s someone I already knew. I thank God for handpicking a spiritual father for me. He can do the same for anyone who will bother to ask Him. Wow.Thank God i found this reading. I have been thinking of a way to approach my head pastor to make him my spiritual father and after reading this i got all i need and on how to approach him and even how to talk with him to be my mentor. Thanks you very very much. May The Lord pour out his blessings on you and your entire household.